Eddie had offered to come with her, but Mercy turned him down. Concern had flashed in his eyes when he realized she was headed to see a sister she hadn’t spoken with in fifteen years. She didn’t want his pity. She didn’t want him to smooth the way for her. It was something she had to do on her own. She’d thought about asking Truman Daly to meet her there. The Sanders case belonged to his department, and he had the right to know that Mercy was contacting a witness. But she talked herself out of calling him, knowing she’d update him later. She didn’t want any observers if Pearl slammed the door in her face. Those brown eyes of his saw too much. She knew Truman was trying to figure her out, and she wasn’t ready for it. Eddie and her coworkers saw what she wanted them to see. A hard-working but slightly unsocial agent. But Truman had seen her reaction to his uncle’s home. She wasn’t ready to let him see more. Especially a reunion with her estranged sister. The driveway to her sister’s small ranch home was long. Mercy had checked to see if the home was still owned by Rick Turner, Pearl’s husband, and wasn’t surprised to see that Pearl’s name wasn’t on the public record as a co-owner. It was the mind-set she expected from her family. Men own the property; women lean on the men. As they work their fingers off to take care of their home and family. Pearl had been her first sibling to get married. Mercy had been awestruck by her sister in her white wedding dress. Pearl and Rick had seemed mature and worldly to Mercy’s twelve-year-old eyes. Now, knowing her sister had been only eighteen when she married made Mercy want to cry. Pearl had gotten pregnant immediately. At thirty-three Mercy still didn’t feel ready for kids. The outside of the home was well kept. But as she stepped out of the car, she was hit by the recognizable stench of pigs. Mercy had raised a few pigs while growing up, but apparently Rick had a lot. The barn and pens were set far back from the home, but even with the lack of wind, the odor spread. What was it like during the summer heat? Does Pearl know her home stinks? As a teen Pearl had been fascinated with fashion and makeup. Knowing that she was now married to a pig farmer made Mercy’s heart hurt. But someone had to raise pigs. Pigs were an important source of protein and fat and great for barter. Her father would view the pigs as riches. If meat was no longer available at the grocery store, Rick would be a wealthy and popular man. Mercy would have preferred sheep. She spotted a high fence around a garden to one side of the home. Judging by the amount of lush greens growing, the fence did its job to keep out the deer. She couldn’t see any neighboring farms and remembered that Rick’s father had gifted the couple ten acres of his land when they’d married. Pearl had been ecstatic over planning and decorating the home they’d built. At one time Mercy had been wildly jealous of her sister’s independence; now she saw a prison. Did her sister have any regrets? Mercy swallowed, studying the small front porch. A good-size corn husker sat in one corner. Memories waxed and waned. Aching arms from turning the wheel as Rose fed the dried ears of corn into the machine. Watching the empty husks fly to one side. The smell of dried corn kernels slowly filling the bucket below. A craving for parched corn made her mouth water. Her mother would sauté it with a bit of brown sugar and salt. A favorite snack. Did Pearl’s kids run the old-fashioned machine? She knocked and waited to see her sister. A shadow passed behind the peephole and Mercy held her breath. Would Pearl speak to her? The door flew open and her sister stared, her mouth hanging open. “Mercy?” she whispered. Tears formed in Mercy’s eyes and her throat swelled. She nodded. Pearl looked older. 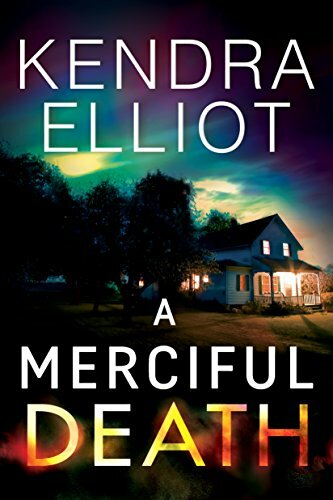 The glamorous young woman Mercy remembered had been replaced by a mother who now kept her hair in a simple ponytail and wore a faded top Mercy recognized from fifteen years ago. Pearl looked much older than her nearly forty years. Pearl lunged at her, wrapping her arms around Mercy in a tight squeeze. “It’s been so long!” Pearl pulled back, her gaze scanning Mercy from head to toe, and then hugged her again. Mercy still couldn’t talk. Her arms wrapped themselves around her sister and gripped tightly. Mercy felt like a twelve-year-old again. Unable to speak and worried about saying something utterly stupid. She wiped her eyes and continued nodding, feeling as if her skin had been ripped off and her sensitive nerve endings left raw. “I’m sorry, Pearl,” she finally sputtered. “Come in, come in!” Pearl grabbed her arm and pulled her inside the home. The pig smell vanished and was replaced by a wonderful cooking smell. Stew or steak or meat pie. Mercy finally saw some of the eagerness fade from Pearl’s eyes. She’d remembered that Mercy was no longer considered one of the family. All contact had been ordered to cease. “No, you saw him already?” A faint hurt flashed in Pearl’s eyes. Pearl nodded, and Mercy wondered if she regretted letting her in her home and was now the sibling who’d broken her father’s rule. Mercy took a deep breath. “I’m working. I’m investigating the recent murders. And no, I haven’t seen our parents.” She studied Pearl’s face, hoping for a hint of what her reception from her parents would be. Pearl wore a poker face, and Mercy interpreted it as meaning Pearl believed she wouldn’t be welcome. Pearl nodded, her face still carefully blank. The silence stretched for three long seconds as they tried to read each other’s faces. Pearl knew as well as Mercy did that the area was littered with people who were angry with the government for good reasons and for lousy reasons. People who felt their rights, their land, or their wealth had been stripped away because of unfair laws. When weapons and anger and distrust were mixed with the right personality, it could become a volatile situation. One Mercy hoped to prevent. Mercy smiled. “It’s good to see you,” she whispered. No matter the situation that had broken their family apart, Pearl was her sister. Born and raised in the Pacific Northwest, Kendra Elliot has always been a voracious reader, cutting her teeth on classic female sleuths like Nancy Drew, Trixie Belden, and Laura Ingalls before proceeding to devour the works of Stephen King, Diana Gabaldon, and Nora Roberts. Now a finalist for the Golden Heart, Daphne du Maurier, and Linda Howard awards, Elliot shares her love of suspense in her Bone Secrets series. She has a degree in journalism from the University of Oregon and still lives in the Pacific Northwest, with her husband and three daughters. For more information, please visit Kendra at http://www.kendraelliot.com. Looking forward to this new series! This sounds like a series I will really enjoy! Love the excerpt - added to my list. I like all your covers. This one too! I enjoyed the excerpt and can't wait to read it all. I like stories involving family.